Kerry Cogan is the Chief Executive Officer for Community Health Provider Alliance (CHPA), a non-profit statewide integrated network of federally-qualified community health centers (FQHCs) focused on providing Triple Aim-based accountable care to their patients. Kerry earned a bachelor of arts and sciences from Merrimack College in Massachusetts in psychology and sociology. Kerry spent over seven years with Physician Health Partners in Denver initially as the manager of contracting, provider relations, and project management, where she was responsible for commercial and Medicare Advantage risk contracting for multiple IPAs, including professional and global capitation, and physician, specialty, ancillary network development. Kerry later served as the director of care management, where she was responsible for the clinical operations of the management services organization (MSO), including building a 65+ person department providing outpatient, inpatient, triage/census, and prior authorization/referral services to manage over 90,000 patient lives in metro-Denver. Kerry also helped develop the care management and clinical operations for Colorado Community Health Association (CCHA), a regional care collaborative organization (RCCO) for Medicaid’s accountable care collaborative (ACC) program. S. Joseph Berry, PHR is joining CHPA as our new Operations Manager. Joseph comes to CHPA with an extensive background in Human Resources (Professional in Human Resources certified) and Operations experience. Most recently he was the HR Programs and Systems Administrator as well as the Privacy Officer for Physician Health Partners. While at PHP, he also spent time working within Provider Relations and Project Management. He has been involved in the healthcare world for 14 years and is very familiar with ACOs. Joseph’s Business Management degree set him up for success in previous companies including Charles Schwab & CO. and Applera Corporation (a biotech company). 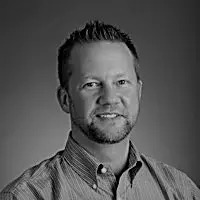 Joseph’s achievements include process improvement through his role as subject matter expert with Lean Process Improvement and work standardization and building corporate culture employing his certification in DiSC (communication/behavioral assessment tool). Rosario Morales is the Quality Program Manager at Community Health Provider Alliance (CHPA). Rosario joined CHPA in November 2018. Her primary responsibility is to provide training and technical assistance to support Colorado’s CHCs related to practice transformation and process improvement. She’ll be using clinical and claims data to direct quality improvement projects for our various ACO programs. Rosario has extensive experience with federally qualified health centers (FQHCs). She spent 17 years with Salud Family Health Centers, serving in multiple functions throughout the years, but working as their Billing Manager during the last 7 years. Rosario oversaw the billing, coding and credentialing departments and provided guidance and expertise to providers, managers and staff across all clinics and departments of the organization. In her free time, Rosario enjoys crocheting, camping, and road trips.